Maybe it was true 75 years ago, but the term ‘job security’ is a myth. It is a smokescreen we use to help plan for a long-term future, which is in fact, riddled with variables. Add to that the other myth of ‘long-term employment’. Just what perpetuates the aforementioned job security illusion is that antiquated ideal of the idealised lifestyle. Get the ‘stable’ job. Get the house with the 30-year mortgage. By the time you retire, the house is paid off, and you live out your days in peace. It sounds so great in theory and looks even better on paper. But when your job situation changes, or the economy changes, and you can’t make that mortgage payment – then what? To make it to the finish line with your sanity intact, do not think job security, think job stability. Think of your skills, either industry specific or those that work across many industries. Your skills are what will give you longevity. Add value to your personal proposition. You need to bank as many areas of expertise in your skills vault as possible. The more you can offer, the more you will be offered. 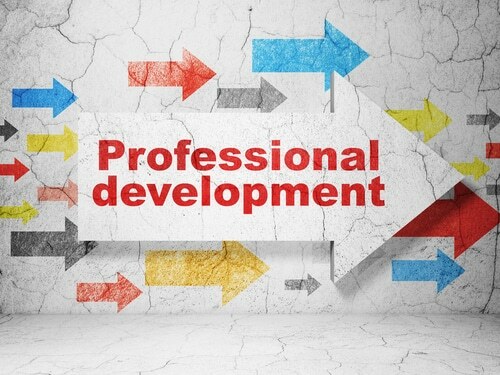 But, it is not just about ongoing course-based professional development, which of course is always a good thing. It is about gaining practical skills and being a life-long student that will bring value to your organisation and your life. Being open to ideas along with taking the appropriate actions will lead you to new opportunities. It will also help you become more valuable to your employer, and ultimately help you earn more money. In short, continue to develop and hone your skills, whilst gaining new relevant competencies along the way. In this way, you may work for several companies during your career, but you will never be unemployed. Once you are satisfied that your skills are marketable and demonstrable, you need to plant seeds for a rainy day. Job security is about being proactive, not reactive. You need to ensure your brand is visible and up-to-date. Social media has come a long way, and for employees and employers, LinkedIn is a terrific resource. Remember, LinkedIn enables your peers to endorse your skills and write up recommendations, and you can do the same for them. This will reinforce and validate your skill sets and work like an open-all-hours brand advertisement for you. Once the ball is running, you will naturally grow a network of peers and potential employers. You get to choose whom to ­connect with on LinkedIn. For example, you can connect with past co-workers, employers, and Fortune-500 executives. You never know who will accept your invitation. LinkedIn invites users to create content, as well. Posting articles on LinkedIn can help to establish and emphasise your expertise. Additionally, once you get the hang of how LinkedIn groups work and you have gained some traction in the space, consider starting your own group. LinkedIn can be a great tool for content marketing, and this could become a channel for you to become a trusted source of business insights in your industry. This again will stand you in good stead if your current role becomes uncertain. 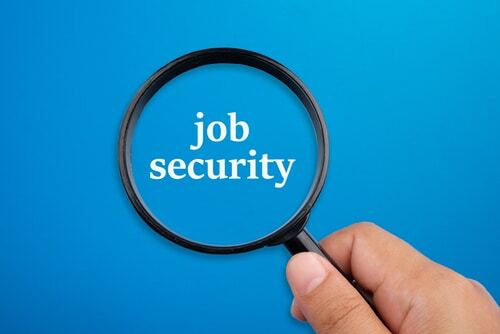 Always remember, job security is a myth, but the key to job longevity is in your hands. Always be asking yourself “How can I add more value”? Take the first step toward improving your brand. Make a list of the top ten skills you need for your particular role and industry and rate yourself from 1 – 10, with ten being excellent. From this list, choose your top three, and come up with a few action steps that you are willing to commit to – and make them a priority. Set your schedule. Mark your calendar. Do whatever it takes to keep you on track toward gaining skills and adding value. Improve your skill sets, and make sure they are visible 24/7. Even if you are an expert, there is always room for improvement!